Oasis Bakery is a Middle Eastern cafe and supermarkets, specialized in Lebanese breakfast. Since late 1990's, Emad and Marwa Makool have been the owner of Oasis Bakery. Since then, there are others in their family develop interest in Oasis Bakery and decided to help. Oasis Bakery served ranges of pastries, dips, shawarmas, desserts and many other Middle Eastern inspired dishes. 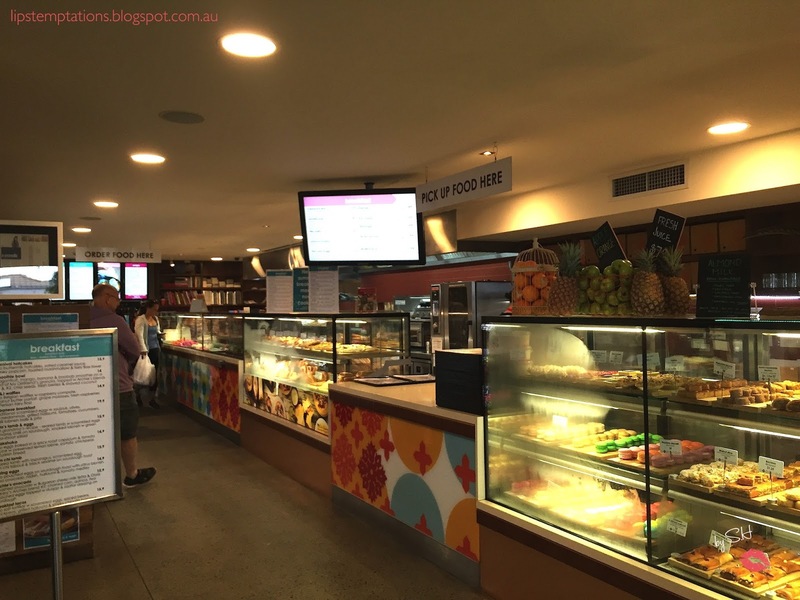 All the food in Oasis Bakery are made by the freshest ingredient available. 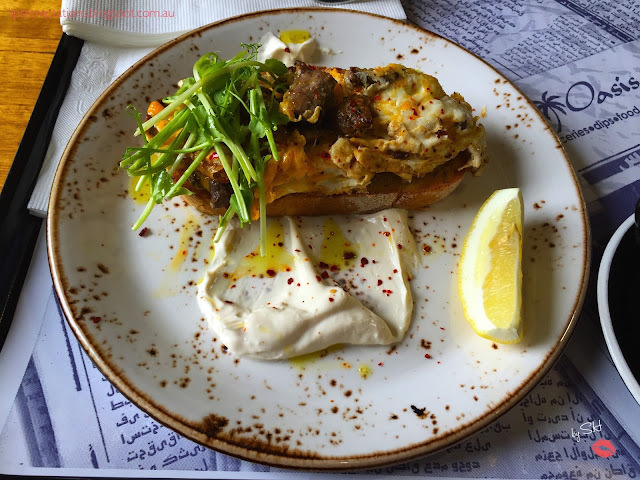 They are also known for their home made bread and savoury pastry such as pitas and turkish. 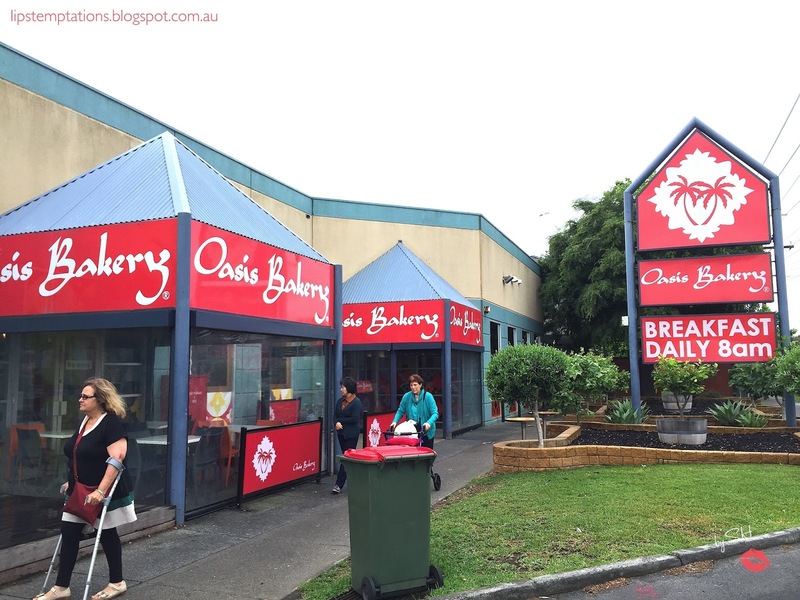 There are no table service at Oasis Bakery, you have to line up, order and pay at the cashier. Warning, they are almost always busy. They will give you a buzzer and it will buz when your coffee or food are ready, then you have to go to the counter and pick up your food. There are counters for cutleries near the tables. 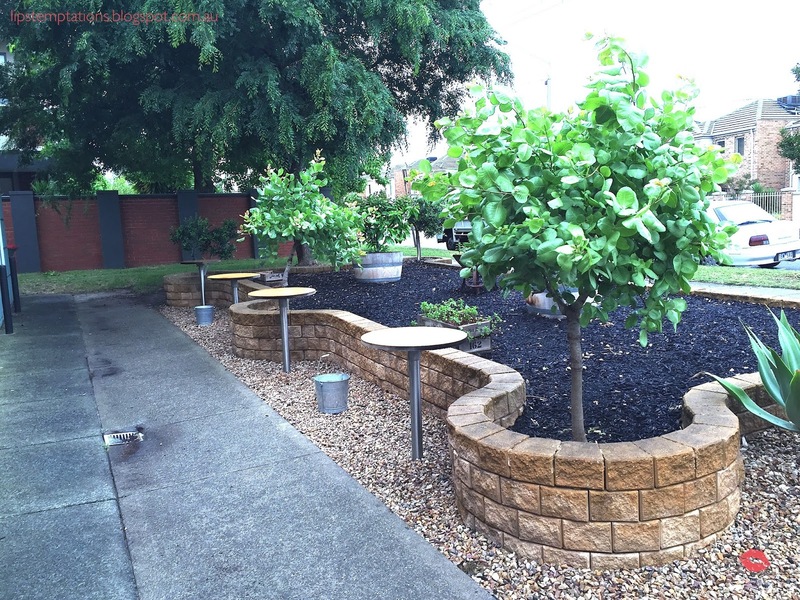 The cafe it self has an indoor and outdoor seatings with minimal decoration and dark wood tables. 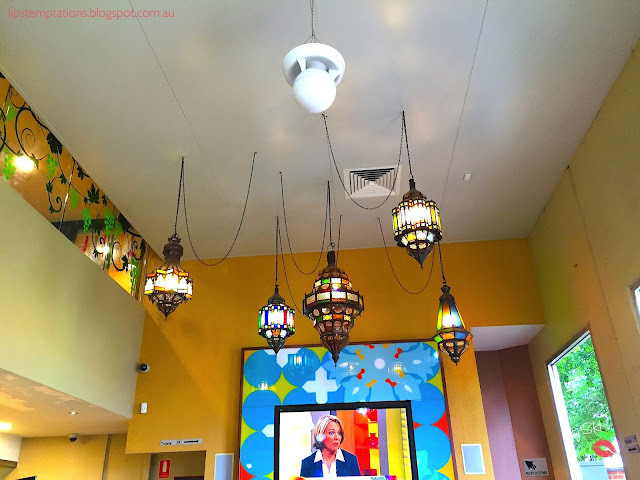 The colourful glass hanging lamp provided a mild Middle Eastern flare. I personally love the lamp and own one, purchased in Kusadasi Market, Turkey. First I decided to order Teta's lamb and eggs - seared lamb with scrabled eggs and maras chilli on sourdough with green pea shoot and salad ($15.9). 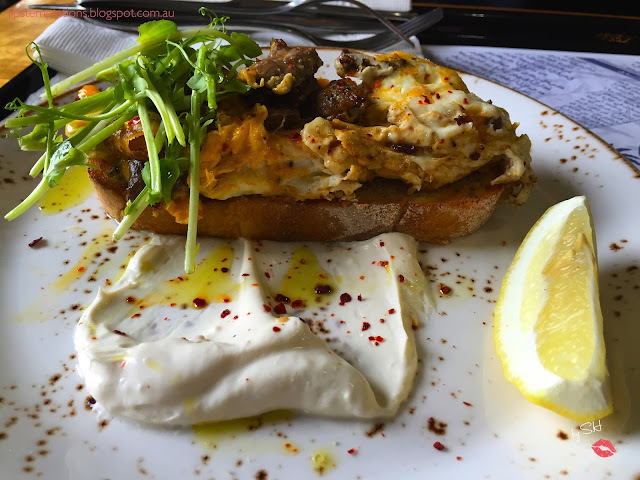 I expected the portion to be larger and the bread is too sour for me but the eggs are well made as well as the lamb flavour is tasty and tender. This dish is the reason why I rush in to visiting Oasis Bakery. 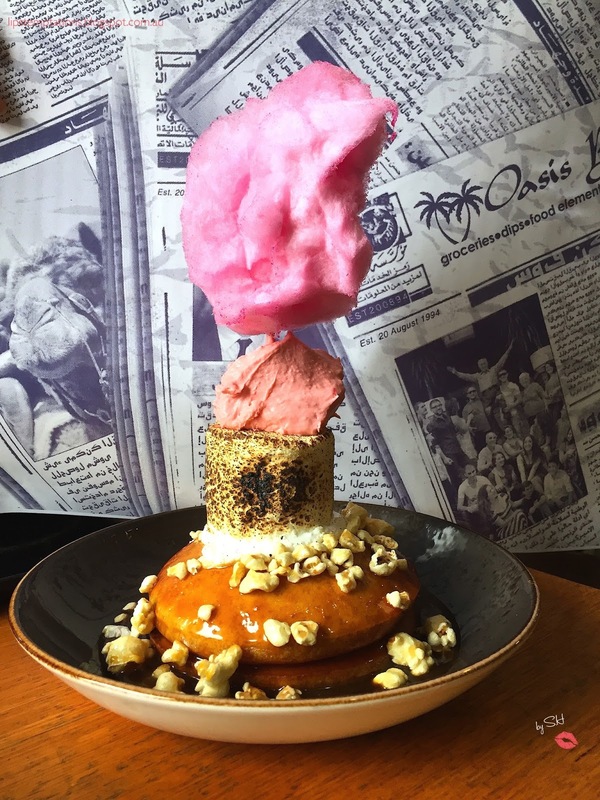 Carnival hot cakes - two buttermilk hotcakes, salted caramel sauce, honey popcorn, toasted marshmallow and fairy floss ($15.9). Not only it look amazing, they taste delicious. The hotcakes was fluffy, airy and light. 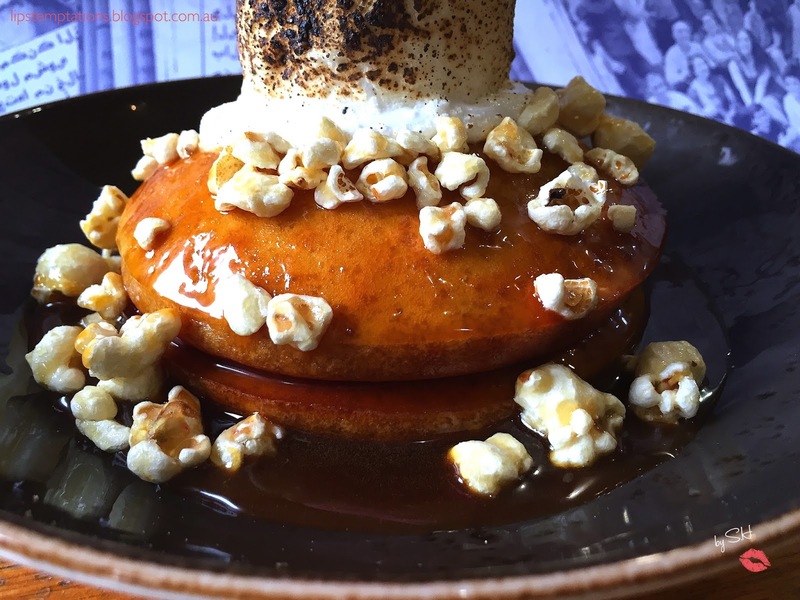 Crispy honey popcorn and thick salted caramel sauces provided sweet and salty flavours, balanced each other out. 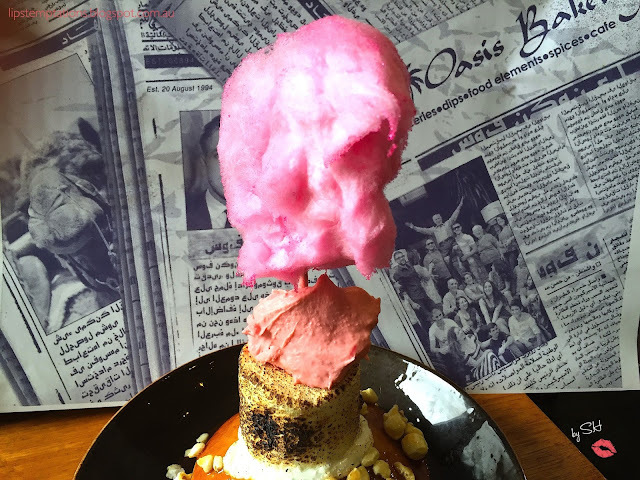 Well toasted marshmallow and pretty pink fairy floss. Tempted? They served pretty decent coffee too, perfect companion for the selections of sweet, sticky, crispy baklava. 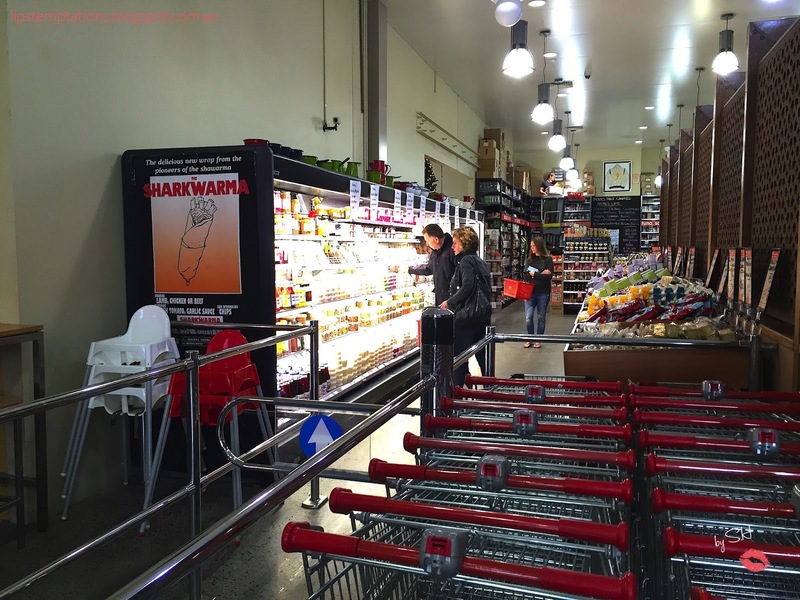 Overall, Oasis Bakery provided an authentic Middle Eastern experience in Melbourne with their food and supermarkets. 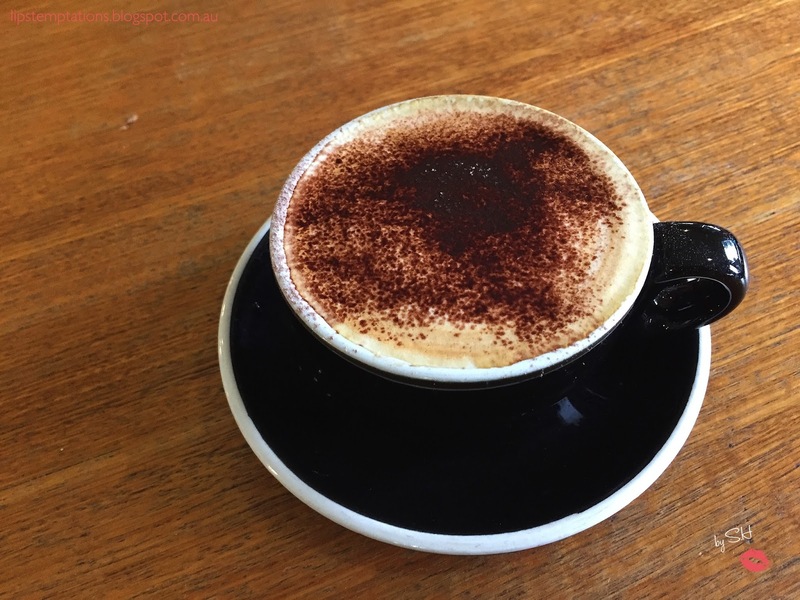 The staff are friendly and helpful but sometimes the food can take quite some time on peek hours. If you love cooking like me, the supermarket it self inspired many dishes to be made at home. I've got to get those carnival hotcakes!